Ah, Halloween. The one night of the year you get to be someone—or something—else. The societal pressure surrounding Halloween costumes comes and goes as we age. As a toddler, we are at the whim of our parents to be the creative ones. Once you’re in middle school and plagued by the incessant need to fit in, the costume pressure begins to build. Sarah down the street had her mom make her a Sailor Moon costume, complete with $100 wig and knee high red boots, which is way cooler than the black smock and tangled wig you’ve been wearing every year since you were ten. Halloween in high school is that awkward period where you’re too old to go trick-or-treating, yet too young to go to cool parties. So, you usually end up writing “book” on your face with black marker, while sitting in Jimmy’s basement, blowing pot smoke out the window, eating Cheetos, and watching American Horror Story with the rest of your pimply faced friends. College is where the costume pressure really builds. You either have to be the sexiest, the scariest, or the most ironic. These are the years you go so far as to bleach your dark brown hair (which ends up turning orange) in order to become a convincing Tank Girl, or you stop eating carbs for 3 months, so that you can pull off the look from that Kanye West video. But, once you pass the age of “going out” for Halloween, and your idea of a good time is watching Storm Chasers on the Weather Channel, while drinking Two Buck Chuck and eating mac and cheese in your Snuggie, the costume pressure is almost nil. Halloween rolls around like any other Tuesday or Thursday, except you have to remember to pick up a bag of Snickers to put in a bowl outside your door, so that trick-or-treaters don’t disturb your Top Chef Junior marathon. But, alas, you’ve been invited to your coworkers Halloween party and in an effort to “be more social” in order to appease your therapist, you’ve decided to RSVP “yes.” But what are you going to wear? Your pride won’t let you revert to your high school days of writing “book” on your face, but your bank account won’t allow for any extravagant costume purchases. Well, if you’re like 99% of Portlanders, you probably work at a coffee shop, or go to one every day. Here are six materials often found amongst the caffeine addled hipsters and the smell of washed Ethiopian Yirgacheffe, that can be used to make fantastic DIY costumes. Nothing will impress your environmentally conscious coworkers more than coming to the party smelling like a compost bin. 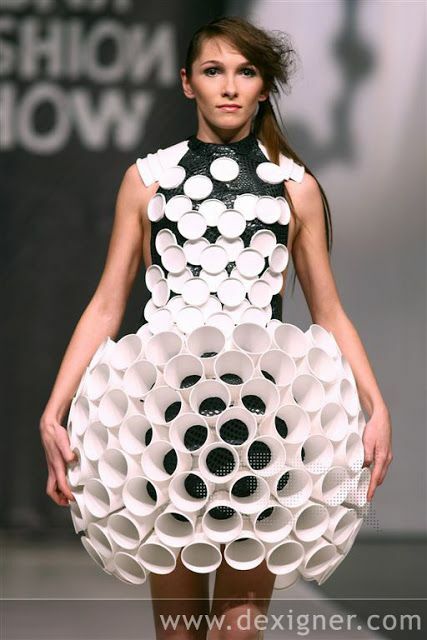 If walking around looking like a dirty diaper isn’t your thing, try attaching a bunch of paper coffee cups and plates together to create a ball gown that even Cinderella would be jealous of. Another material often found at coffee shops, or more likely coffee roasters, is the good ol’ burlap sack. We've got tons of these lying around here at Nossa Familia if you need one. You could create a number of costumes with this breathable and flammable, yet severely uncomfortable and asthma-inducing fabric. If you don’t mind feeling like a thousand tiny elves are trying to sharpen their teeth on your skin, then a burlap sack is great. It's like Project Runway meets Swiss Family Robinson. 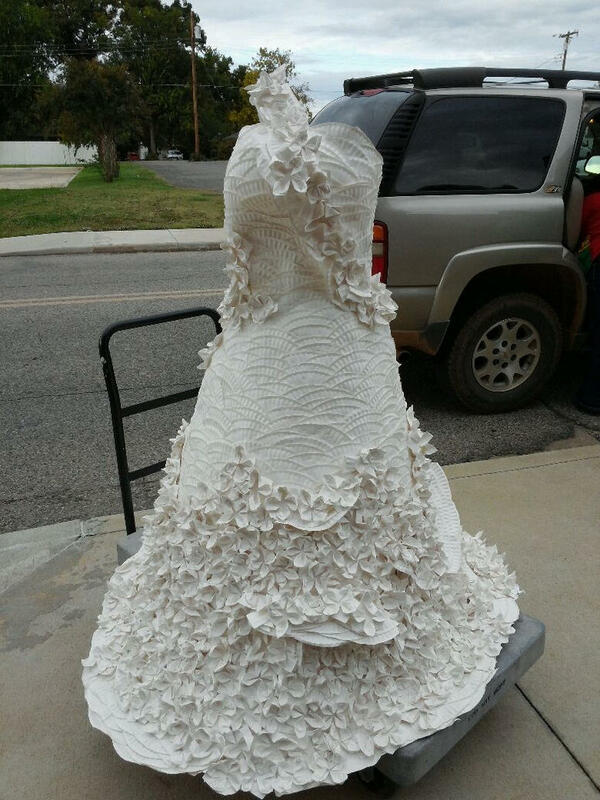 Okay, so dresses aren’t your thing. And you want to really get into the Halloween spirit by dressing as something scary. No problem! You can also use a burlap sack to become that super creepy guy from The Strangers. Sure, you might not be able to breathe for most of the night, and inhaling those sisal fibers will likely bring you to an early death, but pain is gain when it comes to impressing your coworkers. If you work at a coffee shop, you’re probably super cool, but you probably weren’t always super cool. In fact, you were probably super nerdy until you realized that your flood pants and childhood graphic tee were somehow in style, and your obsessive compulsive nature could be used towards pulling the perfect espresso shot. So, you became a barista. But underneath it all, you’re still a nerd at heart. And what do nerds love? Star Wars! If you’re super crafty, or you know anyone who has an Etsy account, we have the perfect Star Wars themed costume for you. And what better material to use than the thing you go through the most at work: milk jugs. Despite your hot breath mixing with milk residue to create a curdling sauna for your face, this is probably the coolest thing in the world. It seems like the directions are totally clear on how to make this, so that’s all we’re going to say on the matter. And there you have it. Creating the perfect Halloween costume is basically as easy as selecting the right grind of coffee, weighing out the appropriate dose, applying the perfect about of pressure, and extracting an exact volume in an exact amount of time, while simultaneously steaming milk to 150 degrees, and maintaining the perfect consistency. Anyone can do it! So, go forth and collect those unused materials from your favorite coffee shop or workplace, and create a Halloween costume your college self would be proud of. Your coworkers will be impressed, and your parents will forget the fact that you “still work at a coffee shop,” when you show them how creative and self-sufficient you are.